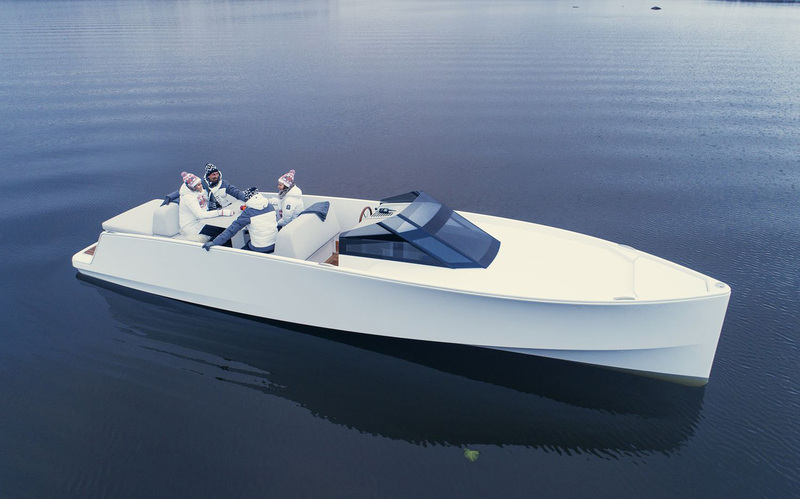 Q Yachts has also unveiled a wonderful full-electric day boat called Q30, showing off a clean and minimalistic look that seems to fit perfectly with the silence of its Oceanvolt electric engine. This beautiful vessel brags about a tiny range of 42 nautical miles with the standard 30 kWh battery pack, but it can also go 80 nautical miles with the optional 60 kWh battery pack. The cruising speed stands at nine knots, although a top speed of 15 knots can be easily achieved, but if you go a little bit faster the range will go down to 22 nautical miles and 40 respectively. You should also know that this electric day boat will require up to 13 hours of charging. Inside, there’s a bright styled cockpit that includes a bed and head, while wrap-around LED lighting and LED spots create the proper ambiance and keep you relaxed at night. The Q30 weights in at 1,500 kg, which is light enough to be towed by most cars out there, including a Tesla Model S or Model X. Cool combination, don’t you think? And don’t forget to check TOP 10 most expensive yachts in the world.